At the end of a long winter, it’s time to come out of hibernation and make time for family and friends. With Easter falling at the end of March this year, it is a good excuse to get everyone together and complete our Annual Scarecrow Trail. This year’s theme is Storybook Character’s. If you live in Morton or Fiskerton we would love for you to compete. We will be charging £1 for the trail form’s and all monies will be donated to our chosen Charity Maggie’s, a charity who support families effected by Cancer. 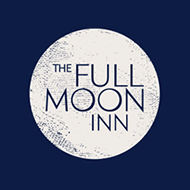 For an application form and further detail’s, please pop in to the pub, or email bookings@thefullmoonmorton.co.uk. We would really appreciate your support. Thursday 29th March from 6pm, in aid of Brian Tumour research. Hats, stall, Live Music for more information visit bit.ly/WearAHatDaySouthwell@southwellscoop. Saturday 17th March – Party evening with Pesky Alligators playing from 9pm. We will be showing the England v Ireland game in the afternoon in The Morton Room. Friday 23rd March – Live Acoustic with Serenade at 7pm – played for the 1st time on Valentine’s evening and shouldn’t be missed. They will also be playing on Saturday 31st March, Easter Saturday. Easter weekend – Friday 30th April – Monday 2nd April. Take part in our Annual Scarecrow trail. We will be open daily from 10.30am for coffee and cakes, brunch, lunch, afternoon tea and dinner. Results will be announced at 6pm, on Easter Monday, with a performance by Swing Nouveau. Got family visiting in the Easter holidays? Our boutique style “Moon Suite” is now available for letting. Super king size bed, -suite bathroom, bathrobes, TV, WIFI, tea and coffee-making facilities, mini bar. Please call Cathy on 01636 830251 for availability and pricing. Like what you see? Want to try us out? Click the button to book a table now!